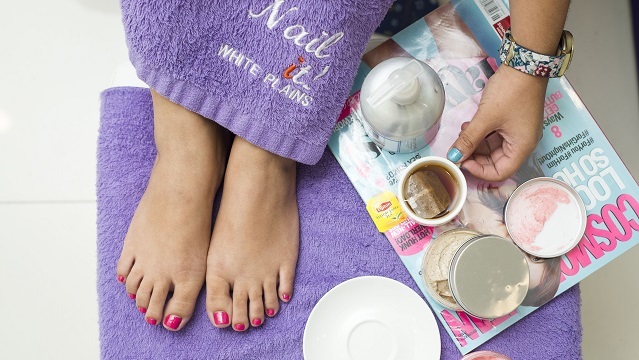 The LayBare franchisee now has her own nail salon franchise. It could have been just another mother-daughter pampering ritual at a nail salon, but Jean Uvero liked the experience so much she decided to set up her own. 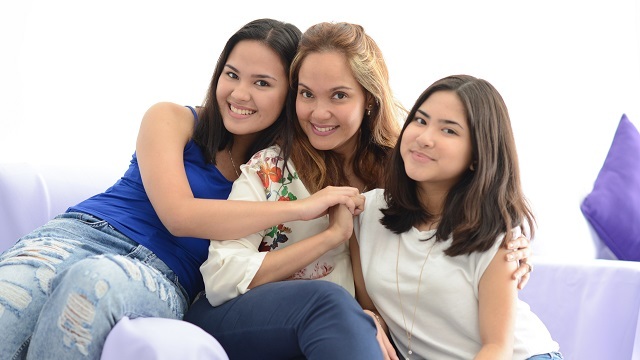 It was a no-brainer for the mother of two—after all, mani-pedi is her favorite pampering and bonding ritual with her daughters, so it was familiar territory to her. She opened Nail It! in 2010, right beside the Lay Bare Waxing Salon branch she owns at Esteban Abada in Loyola Heights, Quezon City. She realized the two salons would complement each other. “I wanted my customers to get the most out of their visits,” says Uvero, who was one of the pioneer franchisees of Lay Bare in 2009. But it was Uvero’s experience as a franchisee that ultimately gave her the necessary push, training, and discipline to start her own nail salon and transition from being a franchisee into a franchisor. Uvero landed her first Nail It! franchisee in 2011 and became a full-fledged franchisor while remaining a Lay Bare franchisee. “Being a franchisee gave me the opportunity to jumpstart my entrepreneurial skills,” she says. Incorporating input from her daughter, Agatha, Uvero envisioned Nail It! as a nail salon that offers the 5Cs: comfort, confidence, consistency, care, and commitment. With the tagline “Affordable Luxury,” the brand aims to provide quality service at reasonable prices—a regular manicure starts at P120, pedicure, at P150, both inclusive of a soak and a soft massage for the hands or feet. Nail It! makes sure that its tools are clean and sanitized, and its products free from harmful ingredients. It carries four brands of imported nail polish, and customers are advised to browse through the nail gallery where bottles of nail polish are arranged by brand, shade, and finish. It also offers a vegan nail polish, and uses only organic lotion for its hand and foot massages. Ultraviolet light dryers, which speed up the drying process of nail lacquer, are also on hand for customers who are in a hurry. Nail grooming and detailing for men, dubbed the “Manlicure,” are also on the menu, alongside “Princess” nail spa packages for teens and young girls. It also offers bundled services like manicure and pedicure, nail coloring and art, foot massage and mask, and even eyelash extension and perming. Nail spa party packages for adults and kids alike are also available. It is this wide range of services that make Nail It! appealing both to customers and potential franchisees. Nail It! now has 14 branches, three of which are franchised. Uvero also owns four Lay Bare branches, all of which has a Nail It! branch beside it. Being both a franchisor and a franchisee has obviously worked to Uvero’s advantage. “I might have a new challenge and a new role to fill, but it also helps me understand the business from multiple stances,” she says. “I have a very good relationship with the franchisor, because we know our roles and limitations,” she says. She’s also clear on what to look for in a potential franchisee. “An ideal franchisee is an innovator and a partner…who not only knows how to comply with the rules and company policies, but also brings in fresh ideas and creativity to the team,” she says. Photos courtesy of Grupo Uvero, Inc.